« Renaiscience » at Fleux’. After a trip to Japan, Vincent Grégoire, director of lifestyle at Nelly Rodi, is back with “Renaiscience”, a selection of twenty modern and original objects that represent the rebirth of Japanese design in 2013 in the world of ‘les arts de la table’. “I went to Japan with the firm intention of making French people to see that there is more out there than just traditional tableware: minimalist, functional, conceptual, pragmatic, to the point of being basic, essential, elementary,” says Vincent Grégoire. These objects, all limited edition, will be displayed and sold in store. 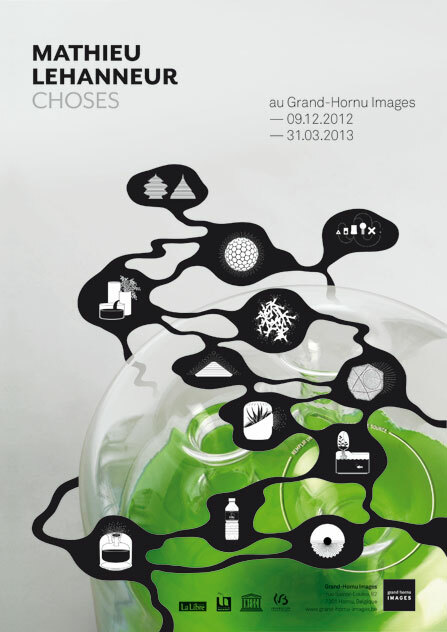 « Choses » by Mathieu Lehanneur at Grand Hornu Images. A unique personality of the design world, Mathieu Lehanneur has a long standing passion for interactions between the body and its environment, living systems and the scientific world. In a personal and spontaneous setting, « Choses » reveals how he explores the natural and technological opportunities that enable him to produce objects that are functional as well as magical, both foreign and friendly. Sometimes developed with the help of scientists and doctors, projects by Mathieu Lehanneur bring to light new ergonomics that tackle our tangible issues: to breathe better, sleep better, love better, live better. Based on both the rationality and irrationality of the sciences, the designer develops an approach that comes as close as possible to human aspirations. 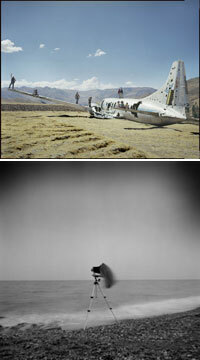 « A Photographic Voyage : A thousand ond One Stories», a workshop with Juan Manuel Castro Prieto. Leaving home, getting out of one’s own shell, meeting others…is the first step taken by any photographer. But once on the road, which compass can provide directions? 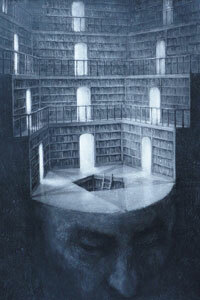 With wich souls to populate the landscapes explored? On the 15th, 16th and 17th of March, Juan Manuel Castro Prieto invites ‘apprentices’ to his amazing workshop to listen to his many stories. Not only that of your instinct, history and memory, but also that of written or spoken tales existing as part of the collective memory of a continent, country, village. Because it is often by weaving these different sources of inspiration with the emotion of image capture that will become the running theme of your photographic tale. An initiation for further exploration of the possibilities of the 20 x 25 cm view camera (8×10″) are also on the agenda this weekend unlike others. « Spanning Time » by Brenna Youngblood in Brussels. For her second solo exhibition in Europe, Californian artist Brenna Youngblood has chosen the Obadia gallery in Brussels. In the “post-black generation” issue, the artist wanted to build a picture of another kind of « Americana » on a conceptual level through her both visually complex and refined art. This other America is based on a childhood and a marginal identity, that of a black lesbian who grew up in the community in crisis of Victorville, California. Operating in a suburban environment, between empty spaces and arid desert, Brenna Youngblood lived a fragmented and solitary existence which is reflected in her paintings. 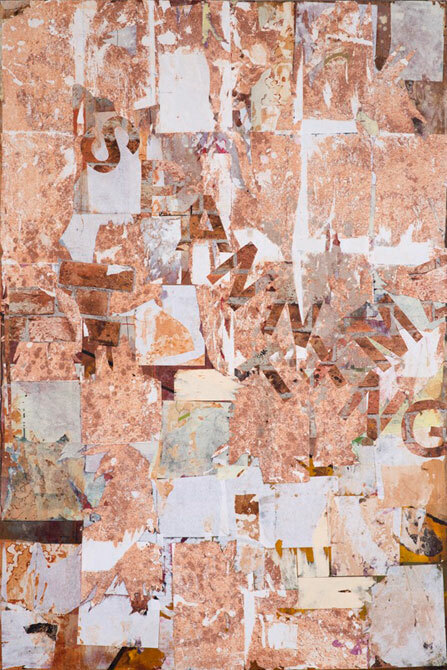 Through these abstract compositions, there are echoes of Rauschenberg’s “Combine Paintings”, traces of the painting style of Jasper Johns and even the landscapes of the Great American West by David Hockney. 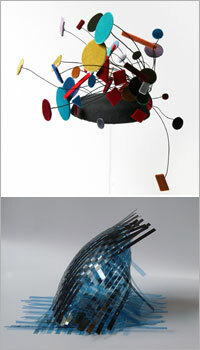 « Ettore Sottsass, an architect in the workshop » at the Cité de la Ceramique de Sèvres. In the exceptional career of Ettore Sottsass, working in the workshop, in dialogue with the master craftsmen, has always occupied a privileged space. 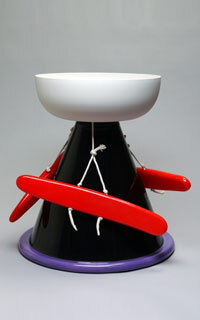 An advocate of the idea that art and design are integral parts of a great cycle of life and universal global consciousness, Ettore Sottsass has never ceased to make use of natural materials such as glass and ceramics, while not hesitating to confront the less noble materials as well. This exhibition, the fruits of a collaboration between two institutions dedicated to the arts of the fire (the Sèvres and the International Centre for Research into glass and the plastic arts of Marseille), is an opportunity to discover the works designed by the great creator. « Berlin 2.0 » at Gallery S.Bensimon in Paris. To celebrate the 25th anniversary since the signing of the pact of friendship between Paris and Berlin, Serge Bensimon has decided to set down his suitcase in the German capital. Following the theme of his meetings, he has returned with a selection of objects and furniture that offer a broader view of local creativity. Choosing to examine the specificity of Berlin, the gallery is displaying a selection of designs that respond to this, allowing everyone to freely enjoy the specific character of this identity. Nine designers provide an answer to the question with an unusual selection in which reason is never far from the emotion. 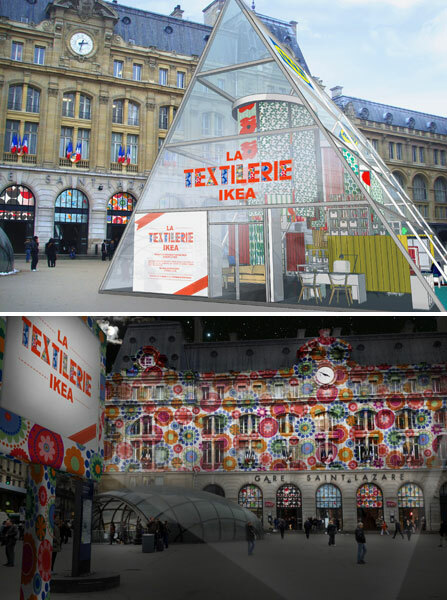 « The Ikea Textilerie » at Gare Saint-Lazare. Eight seamstresses, two Ikea interior decorators and hundreds of textile ideas: this is the unique cocktail that Ikea and its agency is proposing to the millions of daily users of the Saint-Lazare area in Paris. The principle is simple. A catalogue of confections is made available to the public. The choice is made on site, the order placed in the morning and is ready to take home in the evening. Workshops for customisation and clothing will also be organised in the area, twice a day, registration required. Visitors can also enjoy daily tips for managing and decorating a house. At nightfall, the finest Ikea textiles will be projected onto the façade of the station like a colourful outfit. A tribute to Andrée Putman at the En attendant les Barbares gallery. « A great lady has left us. 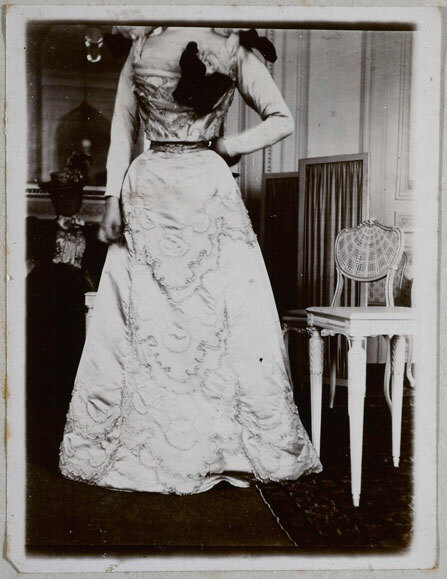 With crazy standards for herself as with others, Andrée Putman associated herself simultaneously with a minimalism close to asceticism and a sense of perfection which led naturally to the world of luxury. Her insatiable curiosity and asserted eclecticism leaves the legacy of a way of life determined by a thirst for culture. Let us remember this lesson ». It is with this beautiful tribute that Agnès Standish-Kentish, founder of the En attendant les Barbares gallery, recalls how the grande dame of design created a limited edition series of objects for the gallery. Andrée Putman designed precious little boxes for the gallery – pencil boxes, boxes for bracelets, rings or for bedside tables – which contain double bottoms or secret compartments. « Antoine Watteau » at the Palais des Beaux-Arts in Brussels. With over a hundred pieces of work by Antoine Watteau, the Rococo atypical artist known for his genre scenes, this exhibition seeks to highlight painting and music. More than just a look at a series of works, the exhibition makes the choice of the correspondence between the arts, thanks to the exceptional curating which unites the musician William Christie and contemporary artist Michaël Borremans. 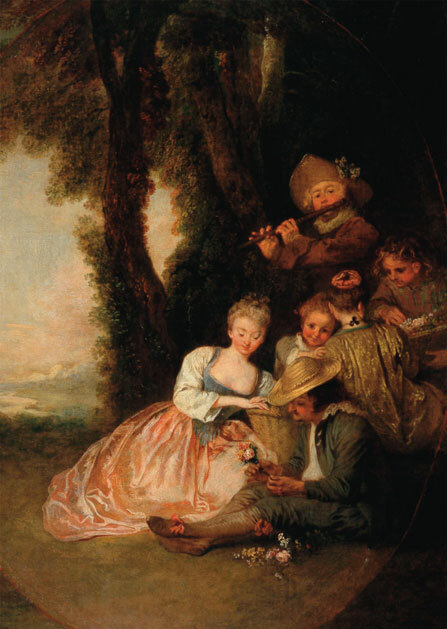 La leçon de musique, Le concert amoureux, L’accord parfait – these are some of the evocative titles of works by Watteau. They speak of the polysemy and hybridization of his creations at the heart of which lies music, dance and theatre combining in the service of celebration playing in a bucolic setting. 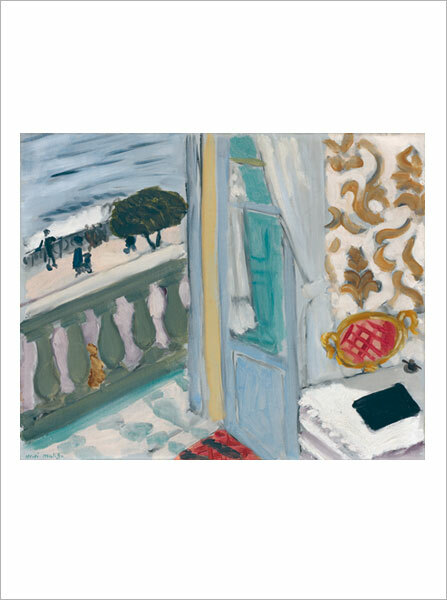 « L’Appartement » in Paris. To live with handcrafted pieces, is to integrate the world of tailor-made with a familiar environment. However, at a time of standardization, we sometimes forget that our objects can testify, in their own way, to what kind of people we are. 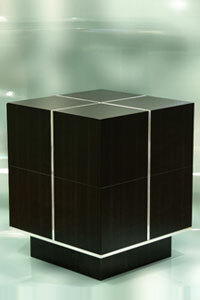 Unique pieces and limited editions become a reflection of ourselves. After the success of “Ultra Dentelles”, “Je rêve!” and “Primaires”, the Ateliers d’Art de France is presenting its new thematic exhibition, “L’Appartement” in four Parisian spaces: l’Atélier, the Talents Etoile boutiques, Talents Opéra and at the Collection Gallery. “L’Appartement” invites the visitor to discover a contemporary world. 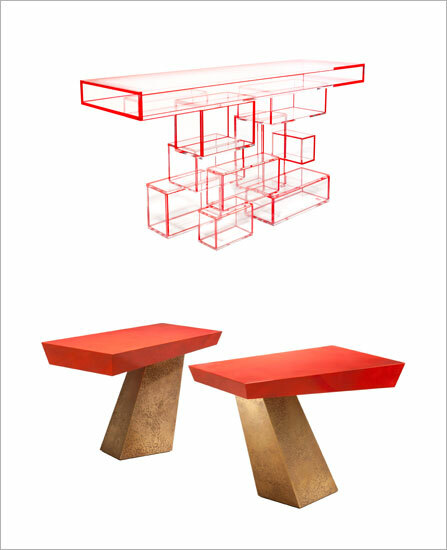 The creations of more than 60 craftsmen and artists punctuate the pieces of a real apartment today. « Windows, from the Renaissance to the present » at the Fondation de l’Hermitage in Lausanne. Historically, the theme of the window has fascinated artists. With this exhibition, the Fondation de l’Hermitage aims to discover the primordial role held by this motif in Western iconography from the fifteenth century to the present day. Organised in partnership with the Museo Cantonale d’Arte and the Museo d’Arte de Lugano, this event brings together over 150 pieces of art from many Swiss and European institutions, as well as prestigious private collections. This thematic journey through 500 years of art history includes major artists such as Dürer, Constable, Monet, Munch, de Chirico, Mondrian, Matisse, Duchamp, Vallotton, Bonnard, Klee, Picasso, Balthus, and many more. Paintings, prints, photographs and videos provide a comprehensive overview of this fascinating theme that transcends styles and eras. 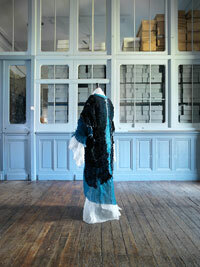 Under the patronage of the Embassy of Japan in Paris, supported by the textile network Rhônalpin and Amélie Nothomb, the sponsor of the event, the Westin Paris-Vendôme has organized an auction of 27 unique kimonos created by contemporary artists. 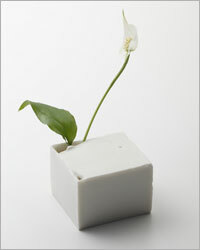 The proceeds of this sale will be donated to the victims of the tsunami and Fukushima from March 2011. The kimonos, created by artists, painters, textile artists, costume designers and photographers can be admired in the salons before the sale which will be held under the hammer of auctioneer Virginia House on February 9. From February 3rd to 9th. Impressionists, the birth of modern art » at the Fondaction Mapfre in Madrid. In January 2010, the Foundation Mapfre had a major exhibition dedicated to the birth of the Impressionist movement, in partnership with the Musée d’Orsay. The aim of this new exhibition is to highlight the subsequent developments to this great pictorial revolution, when the achievements of impressionism integrated themselves and developed in new languages – the post-impressionists – which paved the way for the avant-gardes of the twentieth century. 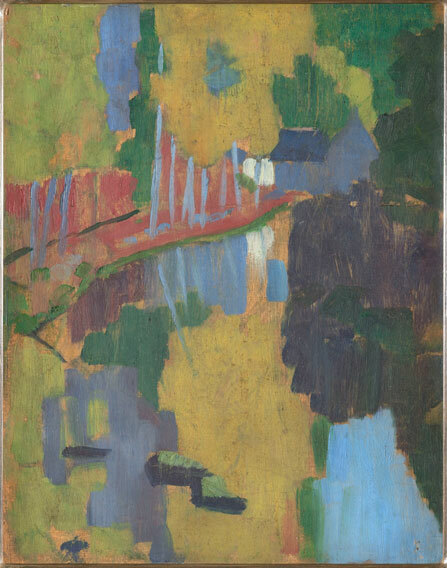 From the first series of Claude Monet (Haystacks, Poplars and Rouen Cathedral) to the large decorative ensemble of Vuillard, Les jardins publics, the greatest painters of the century are present here: Seurat, Signac, Pissarro, Cézanne, Toulouse-Lautrec, Gauguin and his friends in Pont-Aven, the Nabi movement and Vincent Van Gogh. A vast panorama of more than 80 works on display for the first time in Spain. 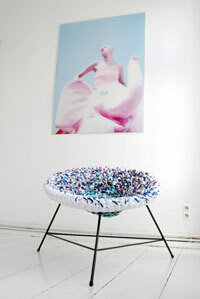 « MiniArtTextil » in Montrouge. For the new edition of the international exhibition MiniArtTextil, nearly sixty artists compete in imagination, savoir-faire, innovative spirit and freedom to provide an overview of the art of sewing. From mini-textiles to monumental installations, the visitor enters at the heart of the matter, where the boundaries between craft, art and design, neo-textile science and fashion blur together. Surprising, poetic and aesthetic: the pieces mix with elegant ancestral savoir-faire and an innovative use of materials, fibres and threads that are shown on an X-ray film as with Maja Gecic, or with metallic tulle, aluminium and even electric wire, as with Gyongy Laky. « Structure/S » at the Ralph Pucci Gallery in New York. The New York gallery has dedicated a new exhibition of the work of French designer Hervé Van der Straeten, providing the opportunity for the American public to discover his new creations (mirrors, furniture, lighting). Through this exhibition, the second in New York for the designer, “Structure/S” tries to explore the conjunction between horizontal and slanted planes in a variation on the theme of the oblique and the diagonal, with reference to concrete structures by Pier Luigi Nervi. The contrast of noble materials and industrial and the dissonance of colours create new harmonies, which seem to be inspired by Japanese aesthetics, emphasizing the outline of a shape or a combination of volume versus colour.